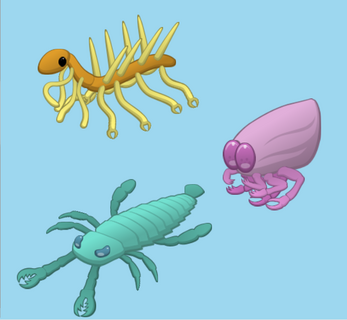 Create your own paleozoic friends! Opabinia, Anomalocaris, Halucigenia, Eurypterids, Ammonites, Trilobites, Dollocaris, Marella, and many more. With thanks to the Paleontology Coproliteposting Facebook group. 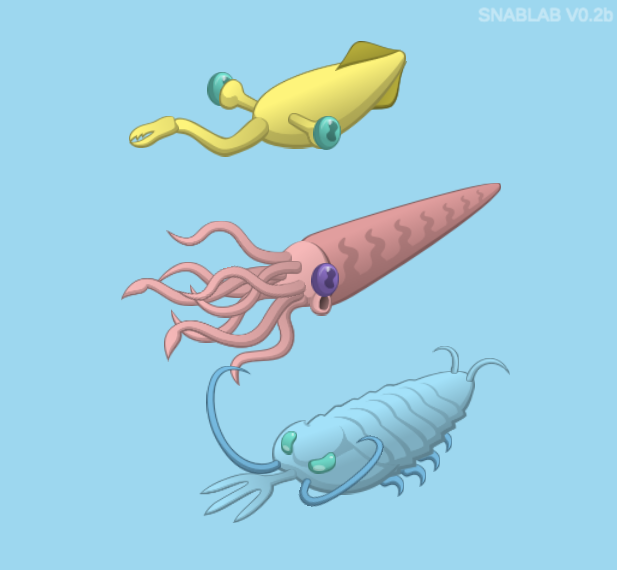 Increase/Decrease size - "=" and "-"
The SnabLab app remains the property of the creator.